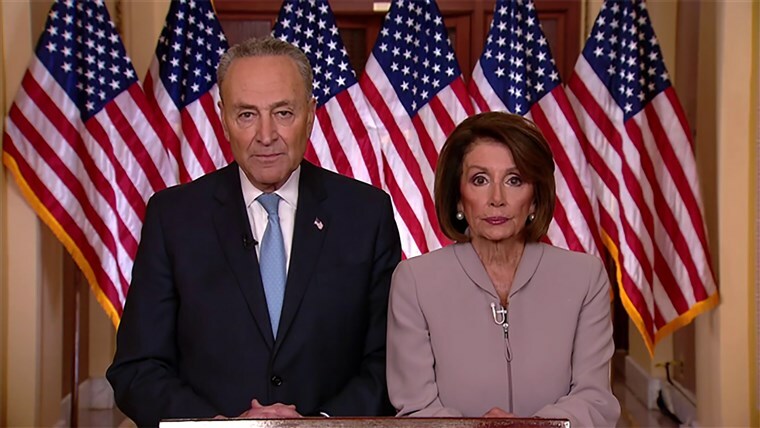 Nancy Pelosi and Chuck Schumer have made their political point, but every day that Democrats refuse to come to the table and negotiate is a day that our Southern border remains vulnerable and parts of the United States government remain closed. Here are three reasons why the Democrats should get serious. They could even learn a lesson from the musical Hamilton: Let’s get back in the room (where it happens) so that we can solve the problems facing America. 1. There is a humanitarian and security crisis happening at the border. Our broken immigration policies have signaled to the world that if you come into this country illegally, you can stay indefinitely, and that has created a negative incentive for many—including vulnerable women and children—to make the dangerous journey through Central America to our country. In 2016, ICE arrested nearly 2,000 human traffickers—criminals who are involved in modern-day slavery. More than 15,000 Americans died from heroin overdoses in 2017—more than 40 deaths per day. Over 90 percent of that heroin is smuggled into our country across the southern border. According to the Department of Homeland Security, one in three immigrant women who undertake the illegal journey to our country are sexually abused. 2. We need stronger border security, and that includes a barrier. But don’t just take their word for it. U.S. Customs and Border Protection has requested more resources to keep America secure. That includes more agents, technology, and yes, the wall. In San Diego, where there has been a border wall since 1992, illegal traffic has dropped 92 percent over the last 23 years. In El Paso, where there has been a border wall since 1993, illegal traffic dropped 72 percent in one year and 95 percent in over 22 years. In Tucson, where there has been a border wall since 2000, illegal traffic dropped 90 percent over 15 years. In Yuma, where there has been a border wall since 2005, illegal traffic dropped 95 percent over nine years. 3. The President and Republicans have made a reasonable offer. Three of them, in fact. But Democrats have their fingers in their ears and refuse to even have a serious conversation about compromise. December 21st: House passed legislation funding border security and a barrier at $5.7 billion. January 9th: Open the government for 30 days and negotiate border security and barriers. December: $1.3 billion for very limited use border security. No new funding for barriers. This isn’t complicated. It’s common sense. That’s probably why Chuck Schumer and Nancy Pelosi have both voted to fund a border barrier before. Not doing so now is pure politics. For the sake of our national security, as well as for the 800,000 Americans who are ready for this shut down to end so they can get back to work, Democrats should stop being unreasonable and get serious about doing their jobs.